It’s nice to mix up the decor in your house once in a while and it doesn’t need to be an expensive task something simple will suffice and can help brighten up or breathe a little life into a room. Every so often I will browse the internet and see what I can find to mix things up a bit at home. Whilst I was doing one of my searches I came across a company called Banbayu who have products that are that bit different even somewhat unusual and absolutely perfect for what I was looking for. Now of course whilst on the site I was curious to read a little of the companies background. This company provides “luxury goods you can feel good about.” Their aim is to bring a touch of ethically sourced luxury to all from the world’s most diverse and remote cultures. All their products are handmade and the material used are verified for cultural and ecological sustainability. Through charitable donations and ethical sourcing, Banbayu support the cultures and environments that help them share such gorgeous pieces. You can read all about the school they support in Bali on their website. The mix of items I discovered on the site were extremely varied and unique. For example these vases which would make a wonderful centre piece for a table or a focal point on a fireplace mantel due to their fantastic designs and the beautiful use of colour. 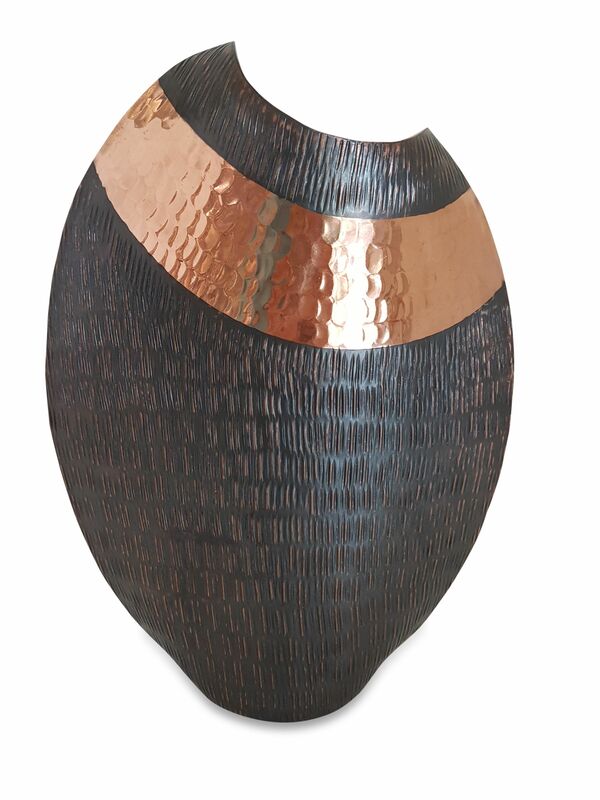 This stunning vase would go beautifully in my living room due to the chocolate brown colour of my sofas and would provide a wonderful contrast whilst at the same time bring to the room a touch of the super trendy and sophisticated copper / rose gold colour that is so stylish at the moment. But then I found this plate. It not only caught my eye but also got my creative juices flowing and got me rather excited. The Coppi Plate is handmade from copper giving the perfect addition of colour to work with today’s trends and was available in three sizes. This can be used to serve food although if you are serving hot food care is required as it conducts heat (gets hot). I had other things on mind other than serving food. The plate looks so pretty that rather than covering it up I wanted to display it and show everyone so what better place to display it than on my fireplace mantel where it would make a fabulous focal point and conversation piece. Of course I ordered the plate straight away and it came faster than expected and was extremely well packaged to ensure it would survive the post – we all have heard plenty of horror stories right! By coincidence I had been sent a reed diffuser to review which arrived at the same time which was perfect. Off out I went to find the perfect props to create my stunning master piece. Of course plants don’t last indefinitely so not long after my first creation I was at it again. How sunning is that? I am experimenting with various floral designs but at some stage hope to find some beautiful realistic looking flowers to create a more permanent display that will last about a month before I’m at it again changing this around. Also available on the site was a range of cushions, bowls, ornaments, lights and jewellery. I was really pleased with this plate it looks great and really does attract attention which is exactly what I was aiming for. I am thinking of possibly getting one of the vases at a later date. Do you try and find companies that source their products ethically and help the communities these products originate from? Environmentally Friendly, Money Saving Washing with Ecoegg! I know these are wonderful aren’t they I was really impressed at the beautiful designs. Haha yes they are rather wonderful. God when did I get excited about homeware, I am clearly growing up lol. Lol, you’re as bad as me. I get overly excited by these things too. Aaahhh well it sounds like these will now be perfect for you the children are older and great timing as you are decorating too. It’s amazing how a plate has got your creative mind going and you’ve made this beautiful floral design. It looks so pretty and I bet it gives your home a fresh feel. I love fresh flowers in my house. I can honestly say I have no control when it happens I just have to go with it. It really does look stunning and you can make so many different looking focal points with the plate that are very eye catching. Oh, these are gorgeous! I love that vase on the right, and the copper plate really brightens up the space while keeping a cosy feel to the room. Great recommendation, thank you! I’m so pleased you liked the too. I really did think they were extremely eye catching pieces. The vases are lovely I love the range of styles to. I am pretty good about bringing in new decor to my home. Sometimes I make the art myself or I spend time picking out something special. Wow that’s great. I have been planning to create a piece to put up but never got around to it so buying something pretty was the obvious solution. The plate looks great! And it blends well with how you set it up. This is the first time I heard of Banbayu. Great to hear about them so I’ll try to check their site out. I only recently discovered them. I am sure you will find they have a great range of items. These are all looks cute and I love all the design! Glad that you share this with us. They do look lovely and make wonderful gifts too! I like this brand Banbayu already. The blue and whitish vase has captured my attention the most. They have exquisite goods and they are right I could feel good owning any of these fab items! Aren’t the designs fabulous!!! They sure are exquisite and that blue and whitish vase is lovely. That leaf vase looks so posh and chic.. I have copper hammered tumblers and they add such a unique pop of colour without the bright neon funk. They are pretty aren’t they. Copper really does look good in the home. Lovely pieces to add a touch of class to any home. Think they would look stunning in a living room especially. They sure do look great in a living room. Don’t forget to make sure there isn’t too much clutter though. 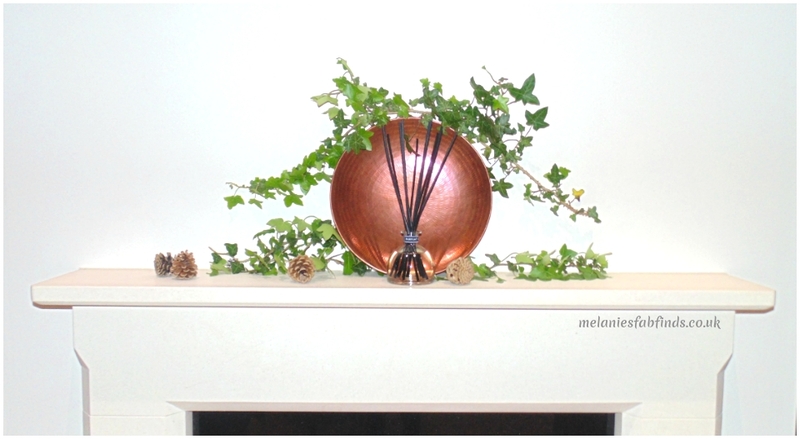 I love the mix of florals and metal on your mantel. You definitely have a great eye and creativity. Want to come do my apartment? Great to find an ethical company that produces such creative pieces. I loooooove those vases at the start of post. They are works of art and very unique. The plate is pretty cool too. They do seem to have a great range on the site don’t they and they are different too which I love. After going vegan and cruelty free in my food and cosmetics, I’m always looking to be ethical in other areas, so this is super helpful! I’m glad you found this useful. I bet you find loads on their site that will look great in your home. I’m in love with everything on this list! Such a beautiful round up of decor options. Thanks, I’m glad you liked my selection. What a lovely collection of homeware items. I think they all look great. I love that Coppi Leaf Vase. It’s so pretty. Loving all the colours, they’re very on trend. They really are. There are some amazing items on the site. It really is lovely isn’t it. There are so many lovely products on their site to choose from. Those are some beautiful items. What enhances their beauty even more is the fact that you can buy them knowing they are a part of a good cause. I love the color and design of the vases. It does make them much more appealing that they do help others. I love anything copper so would definitely put these in my home. I’m so pleased you liked them you an do so much with something quite simple which is great! Thanks, I think it was a great piece for a focal point in a room. It is gorgeous isn’t it. I am sure she will too and you can keep it plain and simple or dress it up with decor around it like I did. Oh i love how different these items look they are definitely beautiful items to own. They are lovely I think they are really unique. 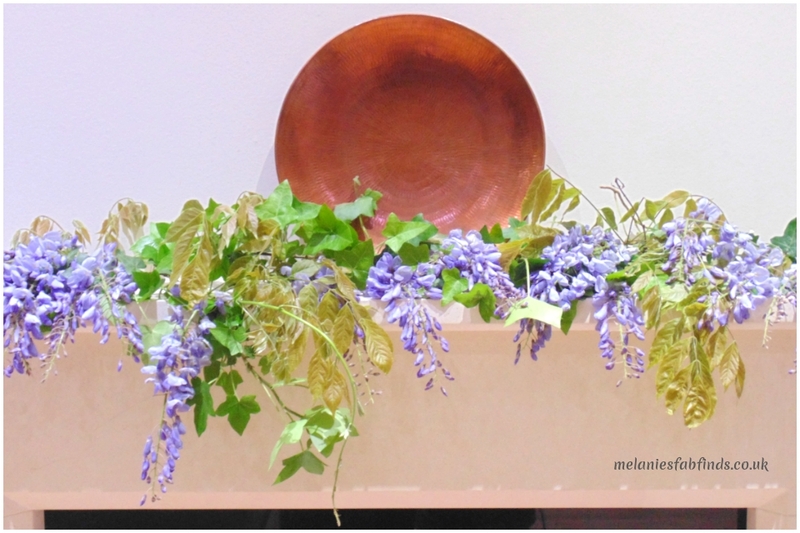 Great choice – I love them all, especially the copperware! I think they have a great range on their site. No problem. I love that too isn’t it gorgeous. I think ethical sourcing of good is important! It’s something we need to concentrate on now! I agree it is very important. I love the range of products here. That’s very true which is why I love to change the look of the room as I have here. It’s much cheaper and looks great. It sure is. These guys have an amazing range on their site. i am always looking for ethical brands, thanks for recommending this! No problem. They have a lovely range of products available. I love the copper plate! and absolutely love what you have done with the plants! Sadly, i kill all plants in no time so now i stick to artificial ones! The plate looks great. Artificial flowers would go very well with it. They are great pieces I loved the fact they were so different. There are loads more on the site, you should take a look.